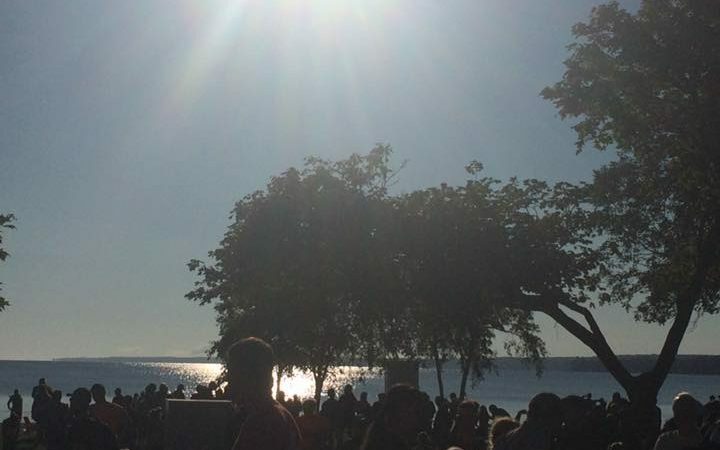 I took part in my very first triathlon on August 13th – the Sprint distance at the Barrie Triathlon. 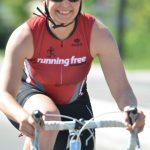 I had never competed in a swimming or cycling race before, so my journey began with lots and lots of reading – web sites, magazines and blogs – and watching many YouTube videos to get insider tips and tricks. It also included a fair bit of shopping. I picked up my very first road bike (a Specialized Dolce), some decent goggles and a wetsuit. 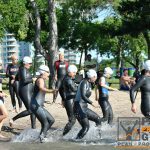 I chose the Barrie Tri because I had heard great things about the atmosphere and the course, which consisted of a 700m swim, a 20km cycle and a 5km run. 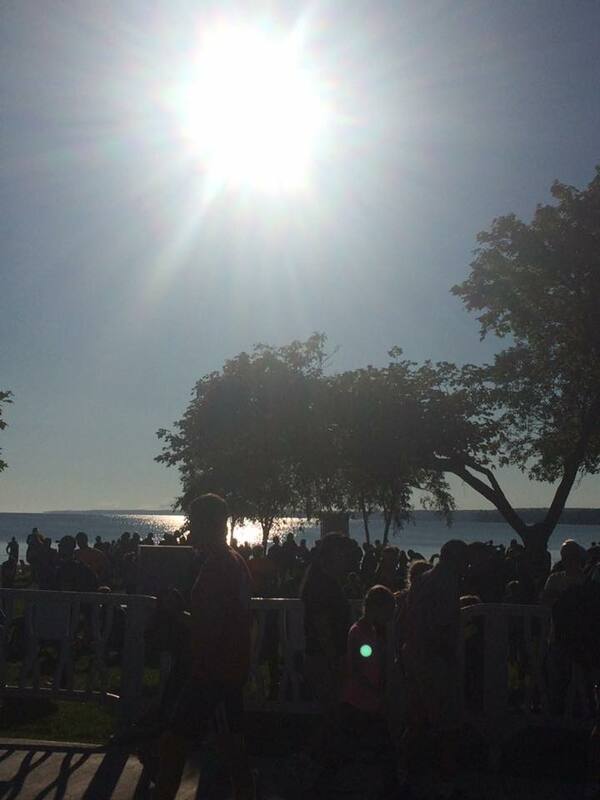 Race day came, and the weather was perfect. I drove into Barrie at about 7am and got myself organized. 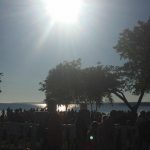 I setup in the transition area (read: I stared at and copied what the more seasoned athletes did), then took a walk around to check out the race route and the vendor tents. The day started with the various Kids of Steel events, which were well attended and super fun to watch. What I was not expecting was the incredible energy level and camaraderie from everyone at the event. There were many first time triathletes like me, but there were also many veteran racers from all different age groups. Everyone was really nice and talkative, and more than willing to share their own tips and stories. Before I knew it the swim was over. I thought it would be the worst part of the race, but it actually wasn’t too bad. The bike leg was probably the worst for me if I had to pick. 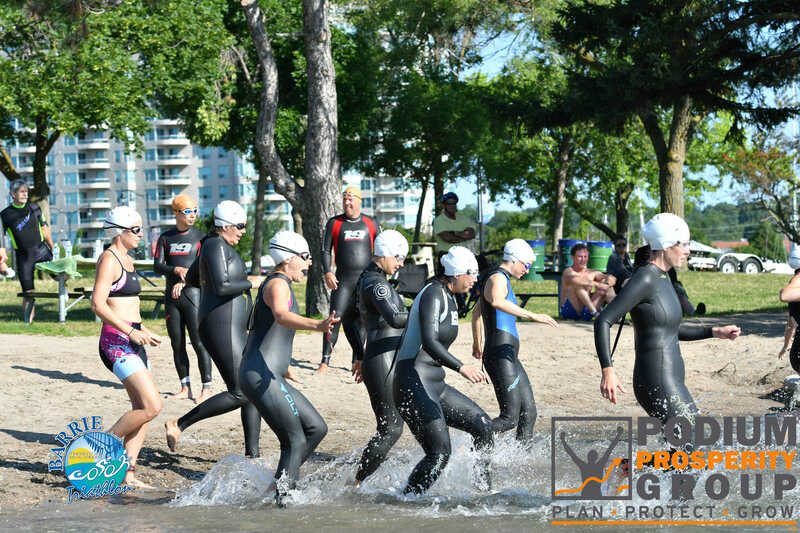 My legs felt like LEAD coming into the bike – so I guess I was kicking rather hard during the swim. I also didn’t love that the course was four 5km loops; I was never really able to get my speed up. As for the silver lining? It was my first race using the clip-in pedals, and I did not wipe out at the start or finish…so, #winning! The run portion was a quick 5km run. At first my legs felt like bricks, but I remember thinking “thank goodness I am off the bike and alive and all I have to do is keep my body moving forward I will not crash”! By the end of the first kilometer, my legs felt a bit looser and I got into my groove. Running is, after all, my wheelhouse. I finished the run in just over 26 minutes, which was a PR for me! I was thrilled when I crossed the finish line. It felt awesome to be done. Overall, I finished the race in 1:38:07 and proved to myself that I could do it. 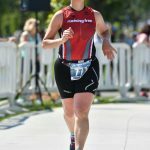 So will I ever do another triathlon?! I was thinking “hell no” to myself during the race but now that I’ve had time to recover a little bit, I think it would be fun to at least do another sprint. I would imagine the race would be completely different after having one under your belt, and look forward to being a bit more engaged with training next year and actually pushing myself to improve.